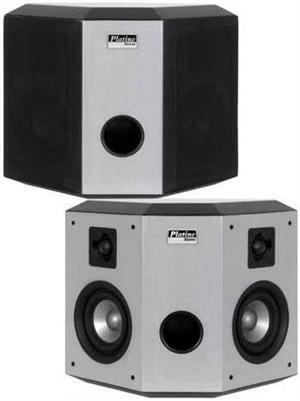 The PN-4521 Biampable Tower Speakers with SLAPS are the pice de rsistance of the Platine Noire system. They are made differently than any other loudspeakers both inside and out. Access to the best technology and precision tools allow Earthquake Sound to combine superior cabinet materials, the most elaborate crossover components available, new driver materials, and top-grade copper cabling into one majestically designed package. The Platine Noire home-theater speaker system includes two PN-4521 main tower speakers, a PN-4421 center speaker, and two PN-2421 dipole surround speakers. The Platine Noire line comprises of four models which can be combined to create anything from a tiny bedroom stereo system to a complete home theater package. * Frequency Response: 40Hz to 35kHz.